Throughout modern history, the Garden of Eden narrative has been viewed through the blurred lenses of tradition and science by both sides of the apologetic debate. 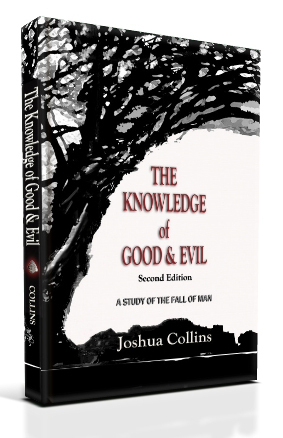 In this comprehensive scholarly study, Collins challenges readers to look at human origins with a fresh understanding, unhindered by modern culture and varying traditions, and guides them to examine prerequisite elements necessary for a more incisive understanding of the story of Eden, including covenants, original language, and ancient history. Drawing from extensive and expansive resources, Collins dissects the story of Eden to reveal a shocking truth that unlocks the mystery of the Fall of Mankind. Peer back through time to discover and investigate the thread that unites man with God and reveals the ultimate power of forgiveness. This is an incredible book that any serious thinker should read if they want to know the truth behind the first sin, the Fall of humanity, why Christ had to die, and how the Scriptures tie together and explain life and death as we experience it. The author is obviously unbelievably well read and did an extensive amount of research, basing his conclusions on some of the best Biblical scholarship available today. Uncover some of the mysteries of the Bible through this very thourough work, with detailed, concise and clear explanations for some of the "tales" of the Bible, which gives a clear understanding of the historical and cultural meanings to the Truth of Scripture. An objective, yet faithful account of sin, life, death, the atonement, according to scripture, that the scholar, as well as any serious Biblical reader will find fascinating. Discover truths that have been hidden for centuries, and gain a greater appreciation for the Bible through this author's amazingly wise insights. This was one of those rare books that I will remember for my lifetime. It doesn't even seem quite right that I can review it--reading it was like pulling back the veil to the Holy of Holies, and peering back through oceans of time to explore the Great Mysteries of God. Having read it, I can without hesitation say that I am not only far better equipped as a Christian--which in and of itself is a huge advantage, but I am also better equipped as a thinking human. This book was rather like a training exercise in inductive reasoning--a skill which is sorely lacking to most Westerners, and which is essential for a proper understanding of the Bible. On top of that, the book answered questions that most Bible-readers inevitably encounter: Why is Jesus called "the Firstborn from the dead?" Why must there be shedding of blood for the forgiveness of sins? -and so many more. Anyone who has even the remotest interest in the Bible should read this book. The author obviously drew information from numerous resources, including studies in antiquity, and cleverly compiled the information in an easy-to-read format. And this is all well and good, but the best part, of course, was the ending, and the whole premise of the book (which I will not spoil for you here). The book shows how there is a thread which seamlessly binds the story of the Bible from beginning to end, and once you read this book and go back to the Bible, you will see it too. I could not put the book down, and I am forever changed. This book was truly remarkable.